A 28-year-old man who stole an ice lolly has had a court order revoked and replaced with a two month prison sentence. 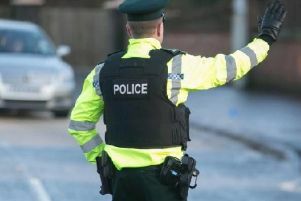 William Gibson, whose address was given as c/o Richard Monteith Solicitors, Portmore Street, Portadown, appeared last Wednesday at Craigavon Magistrates. The probation service had applied to have a combination order – made up of probation and community service – revoked. Mr Richard Monteith, representing Gibson, said this involved the theft of an ice lolly when his client was intoxicated. District Judge, Mrs Bernie Kelly, said it was not the value but Gibson continued to have drink-related offences and there was not much she could do. Mr Monteith said the defendant had completed the probation order. He explained that Gibson was really drunk at a service station and he walked out in a drunken state with a lolly.He had not co-operated with police. Mr Monteith asked the judge not to send the defendant to prison. Judge Kelly said she always told a defendant that if something happened that they couldn’t do the order they could apply back to the court to have it changed but Gibson did not do that. She added that the message had to go out that community orders are not to be messed with. The judge pointed out that Gibson had received a combination order which was reflective of his atrocious record and on this occasion his atrocious behaviour. Revoking the order she replaced it with a two month prison sentence and a £25 offender’s levy. Gibson was released on his own bail of £500 to appeal against the sentence. A complete alcohol ban and a curfew from 8pm to 6am were made part of his bail conditions.